Classical Trancelations in Concert debuted in August of 2016 with two record-breaking, sold out concerts at the Helsinki Music Centre. The concerts moved thousands worldwide, received raved reviews and left us all in awe and lingering for more. The concerts achieved worldwide coverage, was nominated for the 2017 Innovation Award at the Classical:NEXT event for classical and art music and selected as one of the top 10 most moving events in Finland by the National broadcasting channel. Two years later, on Saturday the 29th of September of 2018, Classical Trancelations returned with one of the biggest indoor electronic dance music events in the history of Finland. Over 8500 people gathered to experience two hours of timeless electronic music classics reimagined into a beautiful journey, surrounded by a visual experience that that took it even further. The Helsinki Philharmonic Orchestra and Lowland performed with Ahjo Ensemble, conducted by the young breakthrough conductor Eero Lehtimäki. Soloist gracing the stage were Saara Aalto, Reino Nordin, Kasmir, Paleface and Marianna, joined by saxophonists Jukka Perko and Tapani Rinne and actor Sami Uotila. Classical Trancelations in Concert combines the visual grandeur and production of raves with the world of classical music. Covering some of the biggest hits of the electronic music genre from the past 20 years, it brings together a vast crowd of past & present nightlife aficionados and classical music lovers. It all started back in 2006 at Helsinki's beloved Club Unity 10th Anniversary party, where Petri "Lowland" Alanko was booked to play versions of club classics on a piano. Lowland decided to take it a step forward and make orchestral backings to the tracks and performed a touching performance, giving birth to a much bigger dream. The versions started spreading around the web and were quickly picked up by Dutch DJ Armin Van Buuren, resulting in two Classical Trancelations albums released Armada Music in 2008 and 2015. Ten years after the first solo show, a phone call from the Helsinki Festival changed everything... In August 2016 nearly 150 musicians performed the first Classical Trancelations in Concert in what would become the birth of a new phenomenon. Classical Trancelations in Concert is created by music and event production professionals, based in Helsinki, Finland. Artist, composer and producer behind Lowland. He has released two Classical Trancelations albums on Armin Van Buuren's Armada and a solo Album on Tiësto’s Blackhole Recordings. Petri is also Finland’s most successful game-music producer and a BAFTA-nominee for his work on the soundtrack of Alan Wake. 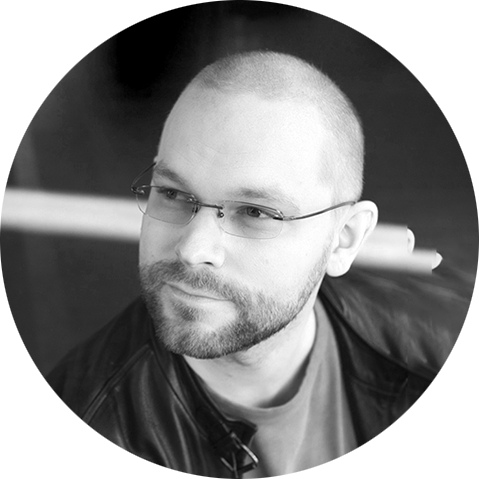 His other projects include works for the likes of Supercell, Sulake, Nokia and Nightwish. The curator and artistic director of the concept, DJ Orkidea is one of the most respected and successful DJ’s and producers to come out of Finland. A career of over 25 years has included shows all over the globe and album releases on Universal Records, as well as the world leading indie dance labels. Tapio was head of sound design for Nokia and is currently the musical director of YleX, the Finnish national radio channel. Pessi Levanto is the orchestrator for the Classical Trancelations concerts. He is an award-winning pianist, arranger and composer of original music for films, television and the concert world. With a catalogue of fifteen full-length feature films scores and thirty short films and documentaries, he is one of the most prominent film composers and orchestrators in Finland. Misc Management is Finland’s longest running DJ Booking agency and events company, concentrating on electronic dance music and the lifestyles around it. Since 1999, they have created some of Finland’s most iconic clubbing brands and worked with the biggest names in the dance music scene, including Faithless, Pete Tong, Eric Prydz and Armin Van Buuren. Classical Trancelations in Concert offers its crowd a truly unforgettable audiovisual experience. We pride ourselves with working with great talent, wherever we perform. Our debut concert’s visuals at the Helsinki Music Centre in 2016 were designed and conducted live by Tea Stolt & Severi Glanville, XYZ Dezigns and Pyroman. The Hartwall Arena show in September 2018 is executed by Bright Finland, XYZ Dezigns and Pyroman.